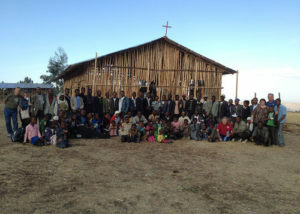 In February 2008 a group of Vineyard pastors went to Ethiopia. 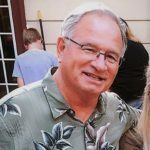 When they returned I received a phone call from one of them, a local pastor from the Hamilton Vineyard, Ken Ritz. We as a church had been praying about serving in Africa. Kenya had actually been on our minds, and I had even talked with Bubba Justice about it since he was leading in Kenya at that time. But when Ken shared with me about the need in Ethiopia, I couldn’t get it off my mind. We decided that Ethiopia was the place that God wanted us. Later in 2008, not long after the original group went, we sent a team of four to go and check it out: Tim, Jon, my son Mark, and me. We saw great need there and wanted to help in this land that is tied to the book of Acts. So every year, except one, we have returned to visit, to encourage, to build up. One of our main focus areas in this decade in Ethiopia has been to train pastors. Every year we spend a lot of time gathering groups of pastors and leaders from different regions for training. One of the things we discovered was that the pastors didn’t have any training material. So we taught Vineyard Values and other things that would help them thrive. One particular tool that has been very accepted is a culturally adapted tool called the Disciples’ Cross. It helps teach how to grow and live a balanced Christian life individually and also how to do church. Last year the book was translated into Amharic and Oromo, two of the major languages used in the churches. It is called A Pattern for the Vineyard Churches of Ethiopia. On the ground in Ethiopia that first time was when we first met our friend Woudineh, whom we call Woody for short, and his family. Woody has been using this Disciples’ Cross pattern for a few years already and now teaches it to other pastors. The newer pastors have turned around and begun using this tool to help disciple people in their own churches. 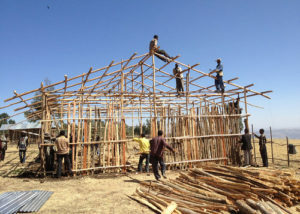 On one of our trips to Ethiopia we helped build a church in Mugar. We stayed in town and worked each day on the building. My wife Liz always did something with the kids while we were building. The pastors of the Mugar Vineyard asked me to preach the first sermon in the new building. That was a huge honor. Deme was one of the pastors at the Mugar Vineyard that has become so special to us at Vineyard Franklin. Last year Deme passed away, and we were saddened to learn of his death. We knew that he left a wife and some children behind. Our congregation received a special offering, and Patrick, my tech pastor, and I traveled to Ethiopia to deliver the offering to Deme’s wife. 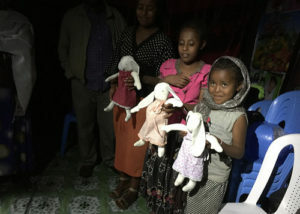 About three weeks before we left I had taught on Lydia/Tabitha and how God used her sewing talent to touch people in her church as recorded in the book of Acts. One of the young women in our church wanted to bless Pastor Deme’s daughters. She didn’t have any money, but she sewed. So she sewed stuffed rabbits, and we took a number of rabbits with us on our trip. We gave them to the pastor’s daughters. It was such a joy to see how God used those rabbits to touch that family with the love of God. I think they appreciated them more than the money. 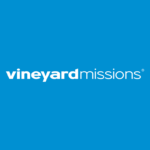 In Ethiopia there is also an orphanage called the Vineyard Children’s Village. Kids who are too old to be adopted can come and live there for free. They can stay there and go to school. Some even go to college. So every time we go we visit the children’s village and check on the kids. 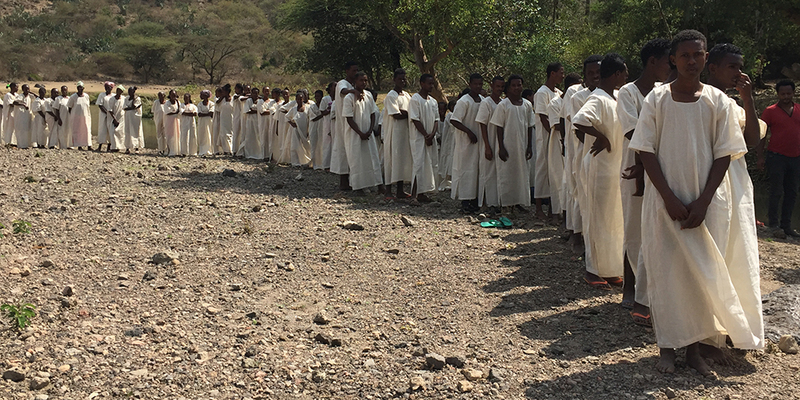 From our first visit 10 years ago, we have gotten to witness the Vineyard movement in Ethiopia grow to over 30 churches. Have you ever seen 286 people baptized in one day? 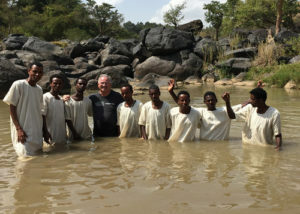 That is what Jim, Fred, Ramon, Alexander, Dan, and I (Ethiopia Partnership churches) got to not only see, but participate in at the Ethiopia Vineyard 10th anniversary baptism. It was awesome to see the joy that rested on that place when people identified themselves with Jesus. Some were even set free from demons at their baptism. I have found the believers in Ethiopia to be people of prayer and dedication. To them, following Jesus is an everyday practice. We Americans can learn from their example.